Golden Screen Cinemas Sdn Bhd (GSC) is the leading cinema exhibitor and distributor in Malaysia. GSC is a wholly owned subsidiary of PPB Group Bhd (a member of the Kuok Group). PPB Group Bhd is listed on the stock exchange of Malaysia. It is a diversified group with interests in food industries, environmental engineering, utilities, waste management, property and entertainment. GSC currently operates a total of 251 fully digital screens in 31 locations across Malaysia and Vietnam. 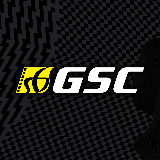 In Malaysia, GSC has 233 digital screens in 27 locations including Klang Valley, Penang, Sungai Petani, Ipoh, Seremban, Melaka, Kuantan, Mentakab (Peninsular Malaysia), Kota Kinabalu, Miri and Kuching (East Malaysia) . In Vietnam, GSC has a total of 18 digital screens in 4 locations through an investment partnership with Galaxy Studio since September 2013. GSC manages the largest multiplex in South East Asia – the 18-screen GSC Mid Valley and the largest digital hall in Malaysia - a 555-seater GSC Maxx on the 10th floor, Berjaya Times Square, KL. GSC also operates Malaysia’s first-ever boutique cinema with only Gold Class and Premiere Class halls, GSC Signature – in The Gardens Mall, KL together with three F & B outlets (Paradiso, Cafe Caro and Dessert Bar). GSC Signature provides an enriching experience via the spacious interiors, thick plush carpet, luxurious surroundings and attentive staff. In 2012, GSC introduced a new brand – GSC Lite which embodies GSC’s entertainment magic in a lighter, modest and accessible manner to cater to smaller market centres without compromising big screens and digital sound similar to those available in GSC cinemas. This approach allows GSC’s customers to enjoy the cinema-going experience at competitive pricing. The first GSC Lite cinema - 6-screen GSC Mentakab Star Mall (opened March 15, 2012), followed by GSC Amanjaya Mall, Sungai Petani (opened Nov 1, 2012) and GSC Bintang Megamall, Miri (opened Feb 7, 2013). GSC launched a customised co-branded credit card in 2009, the GSC-Hong Leong Credit Card which is the first to offer discounts for movie tickets (for adult tickets), concessions and F&B in-dining service. Innovative facilities and services are part of GSC’s on-going commitment to enhance the cinema going experience. GSC was the first in the industry to spearhead online ticketing in Malaysia via GSC e-Payment ticketing which is available at 26 locations whereby customers can choose to print their own tickets with 2D barcode to be validated at the entrance checkpoint. GSC also marked another milestone as the first cinema operator in Malaysia to launch a mobile application in 2011 – GSC Mobile App (iPhone & Android) which enables movie-goers to purchase tickets via m2u mobile, PayPal account or “RHB Now” on their smartphones. Movie-goers enjoy the convenient “ticketless” option by scanning the 2D barcode on their smartphone screens at the selected cinema checkpoints. GSC has also unveiled a new innovative product - GSC e-Voucher facility to cater for corporate loyalty programmes and promotions. This e-solution eliminates manual distribution of physical vouchers and allows customers to redeem their e-Voucher via e-Payment on GSC’s website. GSC launched GSC e-Combo since Aug 1, 2013, currently available at 8 locations (GSC Mid Valley, GSC Pavilion KL, GSC 1 Utama, GSC Paradigm, GSC Setia City Mall, GSC Gurney Plaza, GSC Queensbay Mall and GSC CityONE Megamall). This new online service enables movie fans to conveniently purchase popcorn and drinks together with their movie tickets online while skipping the queue in the cinemas. GSC first introduced digital 3-D films in June 2008. GSC continues to take the lead by being the first cinema operator in Malaysia to feature the ground breaking audio technology – Dolby® AtmosTM sound platform with the movie “The White Storm” on Dec 6, 2013 at GSC 1 Utama (Hall 3). GSC also introduced alternative content in 2012 with the screening of “ColdPlay Live”, followed by “Andrea Bocelli : Love in Portofino” and “Springsteen & I” in 2013, and “Swedish House Mafia: Leave The World Behind” in 2014 in selected GSC cinemas.